Good things lie off the beaten path, and this book is one of them. 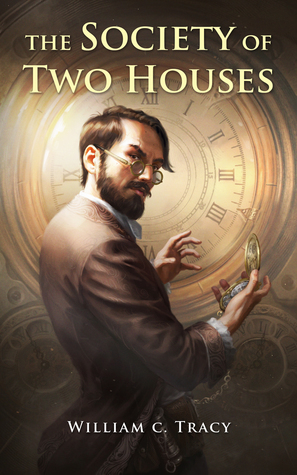 It’s a short, twisty mystery set in a fantastical, unique world. This is a standalone novella in an ongoing series. Tracy does an amazing job of creating a unique world, with different alien species, a rich psychic-like magic system based on music, and a Steampunk-ish feel. It’s a prime example of science-fantasy blend, and why sometimes indie authors offer the most original works. The story itself is a murder mystery, hidden inside a conspiracy of secret societies. It’s told in first person from the view point of a junior member, who finds a body and is tasked (with his cronies) to find the murderer. We get to see the unique world with its 10 separate alien species, as well as the music-based, sort of psychic, detailed magic system. I loved the originality of the world that Tracy built. It is truly remarkable amongst a sea of “same-y” medieval(-ish) fantasy. I like the way he differentiates the various species subtly, by using pronouns and speech patterns rather than heavy-handed info-dumping. This makes for an puzzling-yet-immersive world, that is a joy to explore. Admittedly, conspiracy theories were never my thing as this novel is no exception. I find the motivations behind the need to keep the society secret (in terms of economics and human nature) somewhat unsatisfactory. Another thing to bear in mind is that the beginning of the novel can be somewhat alienating and confusing to the reader, as we struggle to make sense of the complex world. Despite the hard start and conspiracy turn-off (a personal thing), I enjoyed the novella for it’s world-building and originality. The plot progresses with plenty of twists, and the characters have enough background and voice to feel distinct. I’d recommend this book to anyone looking for original fantasy, particularly with a Steampunk feel or otherwise of the borders of science and fantasy (somewhat reminiscent Zelazny’s early works). You can find it on Kindle here.